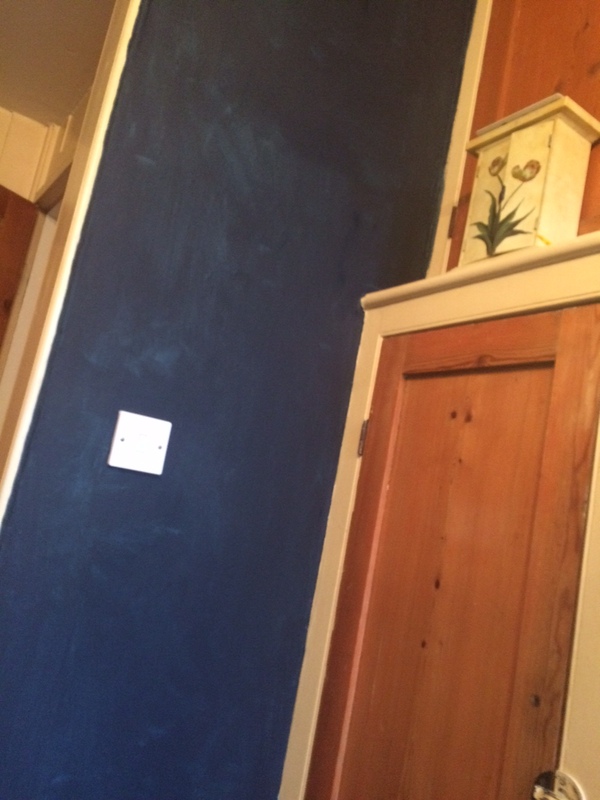 I have spent the last two days clambering around my breakfast room with paint in hand, and turning it from a very sedate and calm green into a zinging, intense deepest blue. 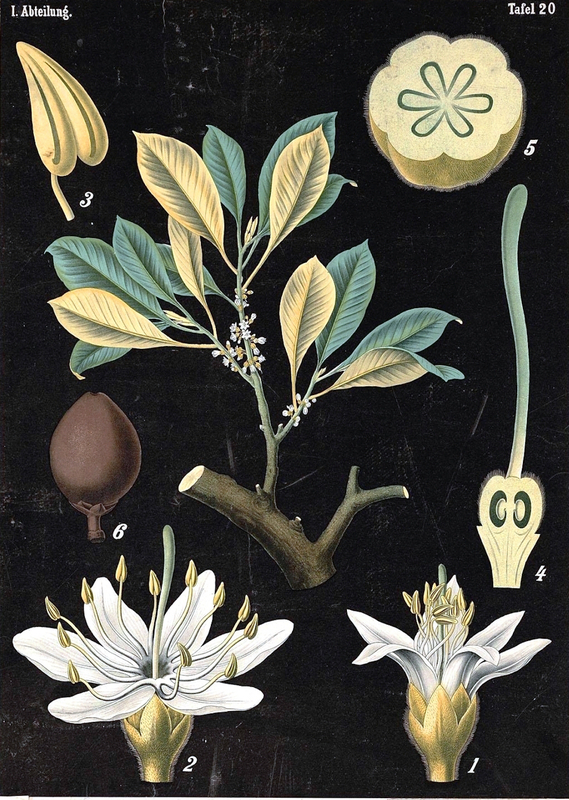 It all started with some botanical prints that I spotted online at vintage printables. It’s a bit dark ?! 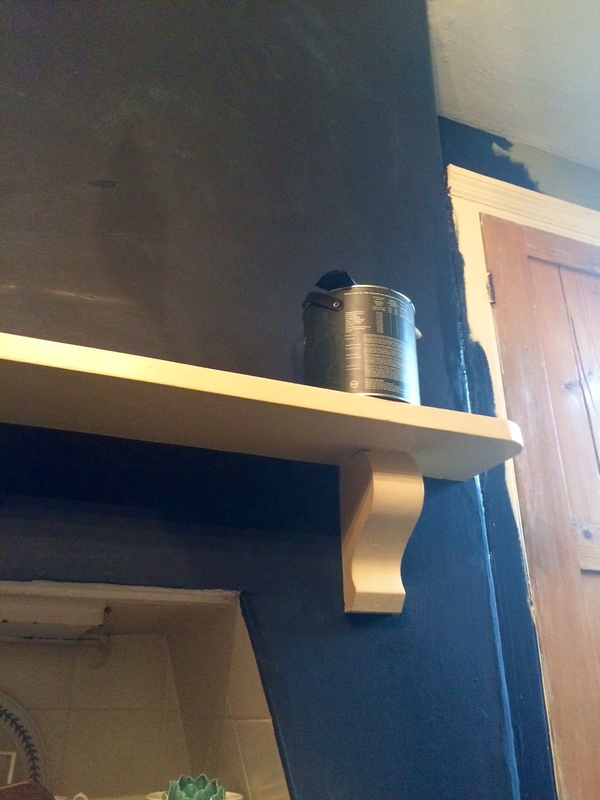 Coat one on walls, too late to go back now….. I wanted to leave the original Victorian doors, floors and cupboards in their natural state. 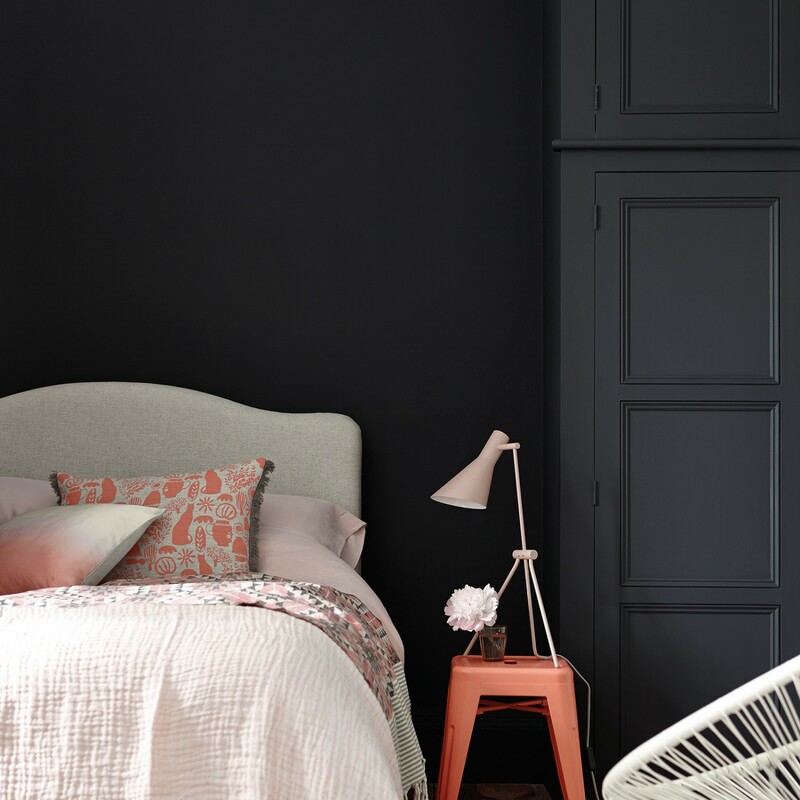 As one end of the room has pale painted panelling, plus the door frames and window frame, I though these would be too dark in the Basalt, so I used Lime White by Farrow and Ball for these areas to freshen it up. The rest of the room was painted in Basalt, and woe betide me if I ever have to paint it out again with a paler colour as it is very dark indeed! I upcycled the old picture frames with the new prints, (I had 6 printed), and first of all hung them as they had originally been. But then I decided to make the wall more exciting as the dark background is a great foil for artwork. All that is left to do now is to is to overhaul the painted wood cupboard with the lamp on top, as it looks too pale for the room. I am thinking a zesty green or something similar would work, and I may repaint the table legs to compliment it.